Cannabidiol (CBD) has taken the world by storm in recent years. And for good reason; it has vast medical value. Here’s a look at what cannabidiol is, how it works and what conditions it can help with. Cannabidiol is one of the most prevalent chemical compounds found inside the resin glands (trichomes) of the female cannabis plant. These chemical compounds are known as cannabinoids, or substrates that bind to special receptors on your cells. These cell receptors make up a larger endocannabinoid system. The endocannabinoid system helps control everything from mood, cognition, movement, appetite, immune response, sleep, ovulation, and sperm development. The human body produces compounds similar to those in the cannabis plant, called endocannabinoids. Molecules found on the herb are technically called phytocannabinoids. Like CBD’s more famous relative, tetrahydrocannabinol (THC), cannabidiol is just one of 85+ phytocannabinoids found in the marijuana plant. Very unlike THC, however, CBD is non-psychoactive. Yep, that’s right. CBD cannot get you “high” or “stoned” in the way that THC does. While CBD still has an effect on your body, consuming CBD by itself isn’t going to send you on the cerebral adventure associated with THC. For decades, medical professionals and the general public overlooked CBD because marijuana’s psychoactive effects took center stage. In general, far more marijuana research is needed to figure out just what effect this herb has on our bodies. But, to say that our understanding of CBD is “lacking” would be an understatement. We have come a long way in CBD research. There are even new pharmaceutical drugs that are nothing more than purified CBD. But, CBD is one complicated compound. One reason why figuring out all of the ways CBD actually works is so difficult is because it’s polypharmacological, meaning that it affects more than one aspect of our bodies at a time. Polypharmacology remains to be one of the major challenges in drug development, and it opens novel avenues to rationally design next generation of more effective but less toxic therapeutic agents. Simply stated, when a drug causes bodily changes on multiple different levels, it’s difficult for us to figure out exactly how these changes interact with each other. So, while we now know quite a bit about CBD, the bottom of the iceberg still awaits discovery. THC specifically binds to the CB1 and CB2 cannabinoid receptors on your cells. CBD doesn’t bind to these receptors very well. It prefers to do something a little different. This is where things get complicated. Researchers have discovered a few ways that CBD interacts with the body, but this area of research is still fairly young. New discoveries are made each year. Here’s a simple summary of what we currently know about CBD. 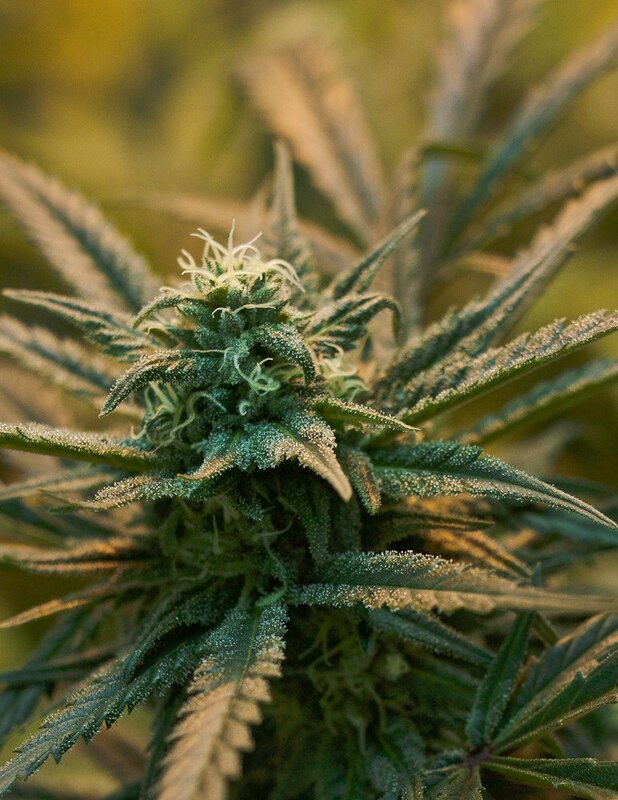 The cannabinoid activates receptors such as vanilloid, adenosine, and serotonin receptors. Adenosine receptors help determine your sleep-wake cycle. CBD also regulates the endocannabinoids that occur naturally in your body. It blocks a particular fatty acid known as fatty-acid amide hydrolase (FAAH). This enzyme that’s responsible for breaking down the naturally occurring endocannabinoid anandamide in your body. Anandamide helps regulate basic functions like pleasure and reward, appetite, ovulation, memory, sleep, and pain. With nothing to break anandamide into smaller parts, CBD boosts the amount of this chemical in your system. But that’s not all. Cannabidiol has been shown to engage with receptors that help modulate body temperature and immune function, reducing inflammation. So, it does quite a lot of different things. There is another fascinating component to CBD. It’s what biochemists refer to as a negative modulator for THC. Meaning, CBD actually negates some of the psychoactive effects of THC. CBD may have an extremely low affinity for the CB1 receptors in the central nervous system, but the compound still can affect them. Consuming CBD actually blocks some of your brain’s CB1 receptors, meaning that THC cannot have an effect on them. Another interesting difference between the two cannabinoids is their effect on metabolism. You’ve probably already heard of the munchies. THC is to blame for all of those late night snacks after consuming a little cannabis. CBD actually has the opposite effect. Studies have shown that CBD decreases appetite and increases satiety. The therapeutic value of CBD is almost unbelievable. For decades, we have outlawed a plant that produces what may become one of the most important medicines of the century. The polypharmacological nature of CBD means that it has an effect on a wide range of different ailments. Below is a short list of some other conditions that CBD can help. For more information on these conditions, please click the links to the associated articles. However, below is a short list of some other conditions that CBD can help. For more information on these conditions, please click the links to the associated articles. The entourage effect is the idea that combinations of cannabinoids, like CBD and THC, work together in synergy to produce certain therapeutic effects in the body. This may explain why some epileptic patients respond well to CBD, while others respond better to THC. Unfortunately, the answer to this question is yes. But, it’s complicated. The Stanley Brothers are now selling CBD products online as hemp oil. It’s legal for people to buy their products without a medical marijuana authorization. Though, most high CBD strains are still illegal. Any strain that contains more than 1% THC or so can be considered psychoactive. This makes it illegal. To provide everyone with safe, easy access to CBD, it needs to be legalized. CBD has a wide variety of medical benefits and lack of addictive potential, all plant cannabinoids fall under the same Schedule 1 Drug classification. If there’s one point to bring home in this article, it’s this: CBD has tremendous therapeutic potential. But, we need more hard-hitting research. Already, the discovery of THC and the endocannabinoid system has opened major doors in biochemical and psychiatric medicine.